NEXT-NET & INSPIRE EU projects organize a local event as part of the Industry Day events. The workshop will take place in Brussels on February, 21 and will be a joint event with INSPIRE project. 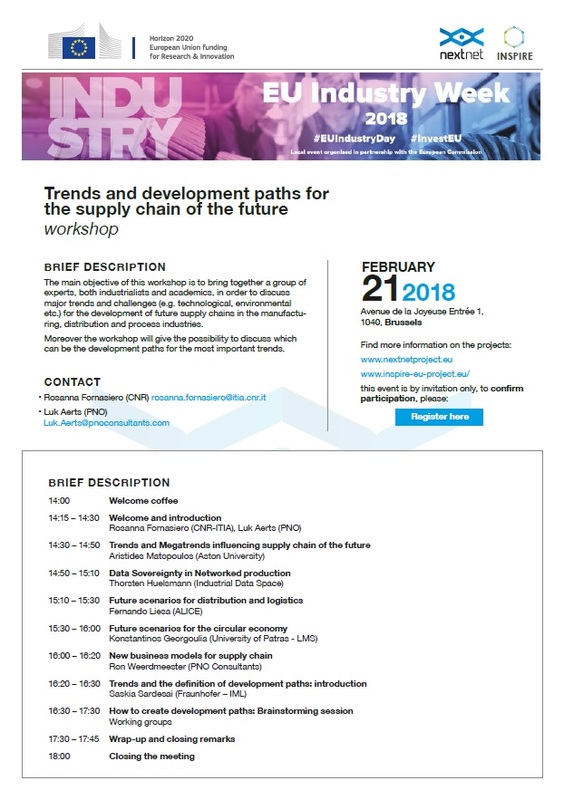 The main objective of this workshop is to bring together a group of experts, both from industry and academia, in order to discuss major trends and challenges for the development of future supply chains in the manufacturing, distribution and process industries. Moreover the workshop will give the possibility to discuss about the development paths for the most important trends.